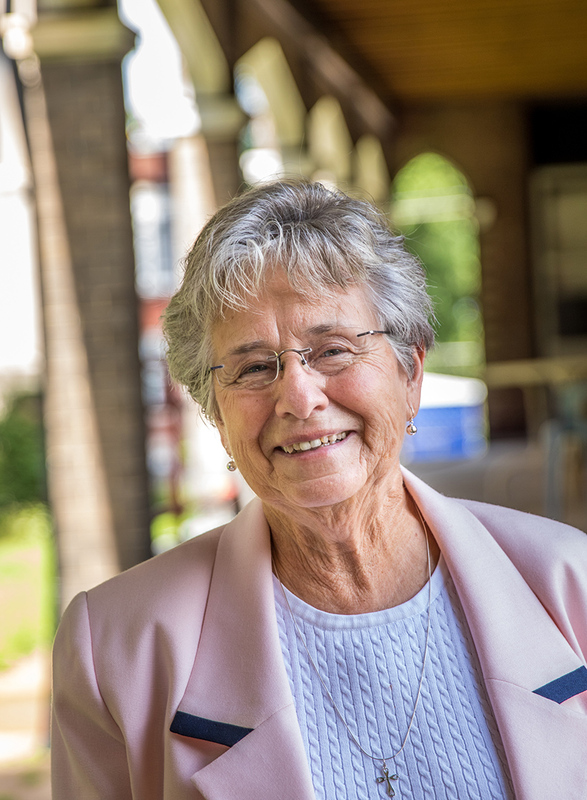 Sister Janice Munier is the first woman and the first woman religious to serve as parish life coordinator in the Archdiocese of St. Louis. The School Sister of Notre Dame was appointed in 2016 to the role at Most Holy Trinity Parish in the Hyde Park neighborhood of north St. Louis. Previously, she had served as a pastoral associate there. Sister Janice works with a pastoral staff, including Mary Busciglio, parish accountant, and Sister Gail Guelker, SSND, director of mission advancement. She also collaborates with Father Tim Cook, dean of the North City Deanery, who is pastor of Sts. Teresa and Bridget Parish and canonical pastor of Most Holy Trinity. As canonical pastor, he fulfills a provision in Canon Law that states a priest must be pastor of a church. Father Aiden McDermott, OSB, provides for the sacramental needs of the parish.